Sterling silver ring with a London blue topaz. Available ring size 53. 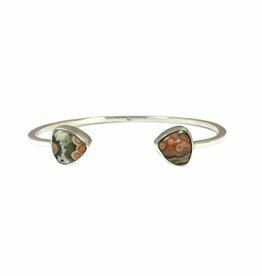 Beautiful sterling silver cuff bracelet with ocean jasper, triangle cabochon cut. Sterling silver stackable ring with sparkling Oregon sunstone.